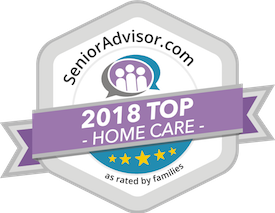 Quality, Affordable Home Health Care in St. Louis, Missouri. The dangers of Seniors with Dementia moving out of their homes. The holiday season is upon us and with that comes gift giving. It may have been easier to find a gift for your loved one before they were diagnosed with Alzheimer’s, but now you have a tougher time. You still think of things that they would appreciate before; a new tie, power tools, and tickets to the big game among other things. Sure, things like that still may excite them, but they may not be able to use them like they used to. We’ve put together a list of ideas by stage to help make gift giving a bit easier this holiday season. A memory book that you have made yourself with photographs from throughout their livesThese gifts keep on giving. Also, let us not forget the caregivers in their lives. Offering some time off for them to relax is often the best gift of all. Senior Services Unlimited can do exactly that – by providing a private caregiver for a short period of time without any contracts.